We’re proud to tell you that we won ‘Solar PV Installer of the Year’ for the Yorkshire and Humberside Region! 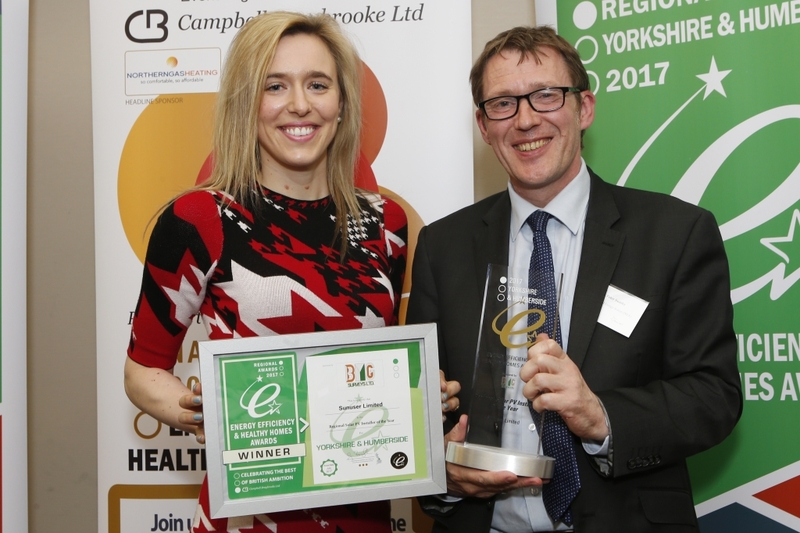 This prestigious award was part of the Regional Energy Efficiency and Healthy Home Awards which are held in eleven regions across the UK. These awards provide public recognition for the excellent work of those in the Energy Efficiency sector and support best practice. Our award was judged on the nominee’s level of expertise, impact within the local community and most importantly of all customer feedback. Competition was tough and we feel privileged to win this award which recognises the businesses and individuals who surpass industry standards. We’ve always prided ourselves on exceeding our customers’ expectations and are pleased that our hard work and expertise has been recognised. We were delighted to collect the award at the evening event held earlier this month at the Hilton Hotel in Sheffield. A three course dinner was enjoyed together with insightful presentations from industry experts, the most praise worthy of all from Peter Sumby of the National Energy Action (NEA) – a national charity seeking to end fuel poverty. Peter presented our award to our Director Natalie, shown in the picture above. We’d like to thank the Energy Efficiency and Healthy Homes team for a wonderful evening and our customers for their continued support. Our trophy and certificate have pride of place at our offices!